August 9th in Plugin Lists, Wordpress Plugins by Wordpress Jedi . Hide My WP: this plugin hides the fact that you are using WordPress. You can hide names of themes and plugins, wp-login, and URL signatures. It can also remove comments in your source code. 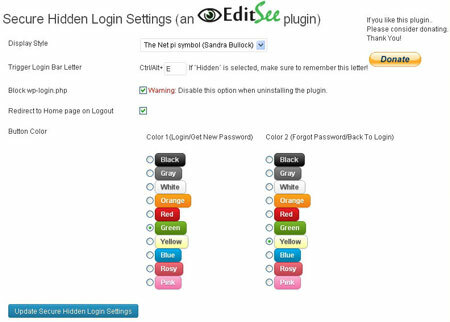 Secure Hidden Login: allows you to login with a special button. 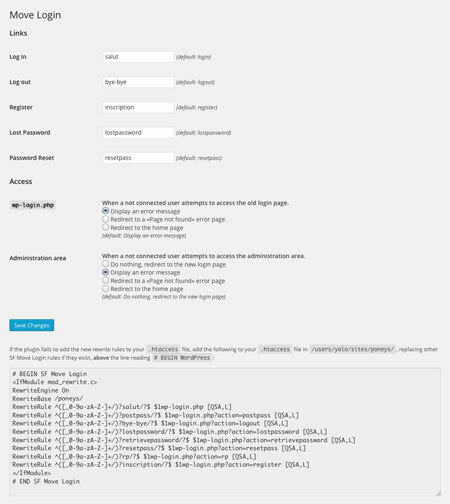 It also lets you block wp-login.php. Move Login: blocks access to your login page and lets you create new URLs for it. Could reduce bot attacks on your site. You will still need to enforce a strong password policy though. Have you found better plugins to hide your WP login page? Please share them here.